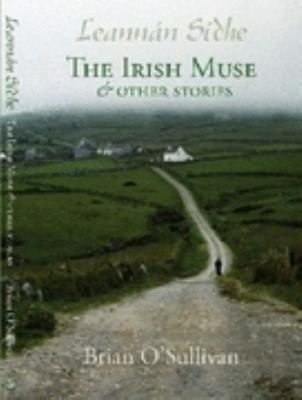 Back in 2007, when I published my first collection of short stories, I called it “Leannán Sidhe – The Irish Muse”. 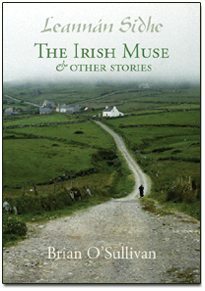 I chose that title, not only because it was the title of the first story in that collection but because I believed (at the time) that it was a relevant Irish mythological concept to use. Eleven years later, eleven years wiser, and that title remains an embarrassing example of just how ignorant I truly was. The sad truth of course, is that there was never any such thing as a Leannán Sidhe (or a Leannán sí, a Lanawn shee, leanhaun shee, or a lannan shee etc. ), at least not in Ireland. The minimum of research reveals that the term was only ever used from the beginning of the 20th century (from the early 1900s on), mostly as a result of W.B. Yeats and his contemporaries. In fact, the original concept of Leannán Sidhe is an English one based on the ‘Dark Muse’, an artistic conceit derived by Romantic poets and artists. In England during the late medieval period, it became quite fashionable for romantic artists to portray themselves as tortured individuals, inspired to create amazing works of art by beautiful but fickle temptresses who often treated them badly. This conceit continued well into the 18th and 19th century, portrayed most famously through John Keats’ ‘La Belle Dame Sans Merci’. The Leanhaun Shee (Ir. Leanhaun sidhe, i.e. fairy mistress). — This spirit seeks the love of men. If they refuse, she is their slave; if they consent, they are hers, and can only escape by finding one to take their place. Her lovers waste away, for she lives on their life. Most of the Gaelic poets, down to quite recent times, have had a Leanhaun Shee, for she gives inspiration to her slaves and is indeed the Gaelic muse — this malignant fairy. Her lovers, the Gaelic poets, died young. She grew restless, and carried them away to other worlds, for death does not destroy her power. This was all total gibberish of course. Yeats wouldn’t have recognised a Gaelic poet if the latter had clobbered him with a giant bat engraved with the words “I’m a Gaelic Poet!”. More of a concern however, was the fact that this act of so fraudulently portraying the Leannán Sidhe as an Irish/Gaelic mythological concept, seemed to trigger no sentiment of guilt or remorse. Yeats was a man on a creative mission and facts were not about to get in his way. Adding insult to injury, Yeats subsequently went on to drag in other Gaelic unrelated cultural constructs (the banshee etc. ), erroneously portraying them with vampiric tendencies to align with his own ideas. “In Celtic Folklore, the leannán sí (“Fairy-Lover”; Scottish Gaelic: leannan sìth, Manx: lhiannan shee; [lʲan̴̪-an ˈʃiː]) is a beautiful woman of the Aos Sí (“people of the barrows”) who takes a human lover. 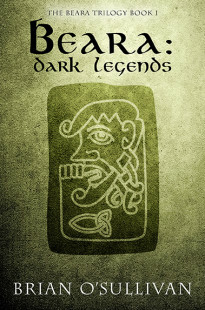 Lovers of the leannán sídhe are said to live brief, though highly inspired, lives. The name comes from the Gaelic words for a sweetheart, lover, or concubine and the term for inhabitants of fairy mounds (fairy). To be honest, I’m still somewhat embarrassed to have Leannán Sidhe in the title of my first book (although the more recent version is simply titled “The Irish Muse”). That said, in comparison to the Wikipedia article, I feel that all my sins can be forgiven. There’s hardly a single correct fact in the Wikipedia summary and yet, at the same time, there’s something comically quaint about how the author’s gone to such trouble to try and find Scottish Gaelic and Manx Gaelic variations for the term ‘Leannán Sidhe’. All the time, completely oblivious to the fact that the whole concept behind it is as culturally authentic as a plastic dreamcatcher in an Irish souvenir shop.